Have You Ever Experienced Thundersnow? Have you ever experienced thundersnow? It's not something that happens often, but is a bit thrilling for weather enthusiasts. It's like the best of both worlds - snowfall with lightning and thunder! How can you beat that for entertaining winter weather? Just recently, Hawaii actually experienced thundersnow. I know, it sounds crazy. Most people think about beaches and pineapples when they think of our 50th state. However, the volcanoes Mauna Kea and Mauna Loa are both have elevations of over 13,000 feet. It get's pretty cold up there and it is not unusual for them to have snow. Thunder and lightning in a convective storm is more common in the warm season, so it is quite rare to experience it in the winter. So, what causes thundersnow? When a thunderstorm forms and the temperatures are below freezing, the rain that would have fallen turns into snowflakes. There are three primary ways that it can happen. 1. Sometimes a normal thunderstorm can form on a strong front in the winter. As it moves into colder air, the rain that was falling becomes snow. 2. 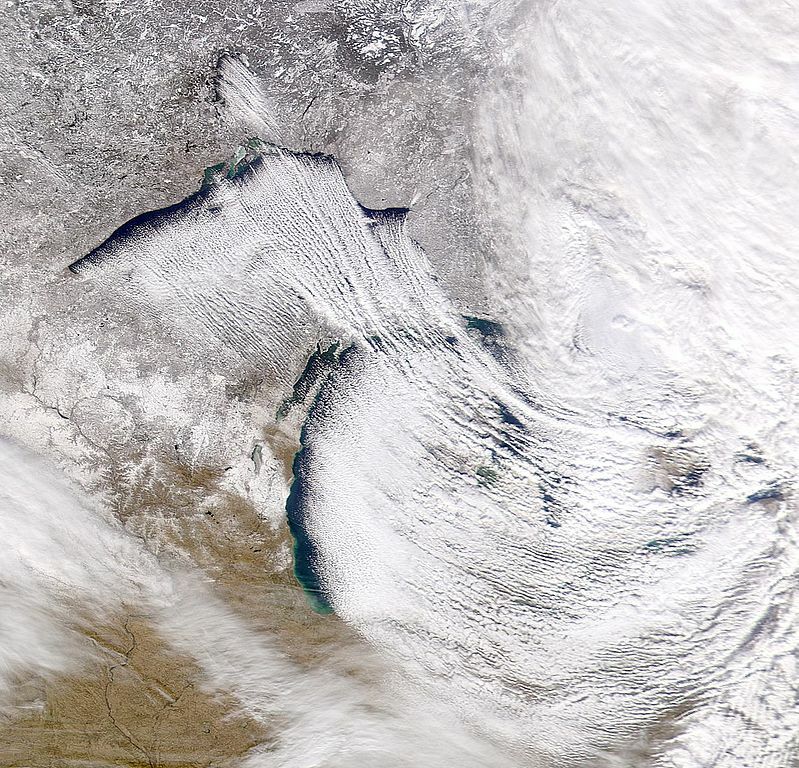 Lake effect snow (shown above), like that commonly experienced near the Great Lakes, is caused by cold air passing over warm water. The difference in temperatures can lead to strong thunderstorms. Along with heavy snow falling, if the top of the storm is around −22 °F it can lead to ice crystals and graupel. When the ice crystals interact with the graupel, an electrical charge can be created similar to a static charge. 3. A heavy snowstorm can become convective under the right temperature conditions in an unstable atmosphere. Any convective storm has the power to create lightning and thunder. Due the the heavy snow that tends to fall in these situations, up to 2-4 inches per hour, the thunder can be hard to hear. 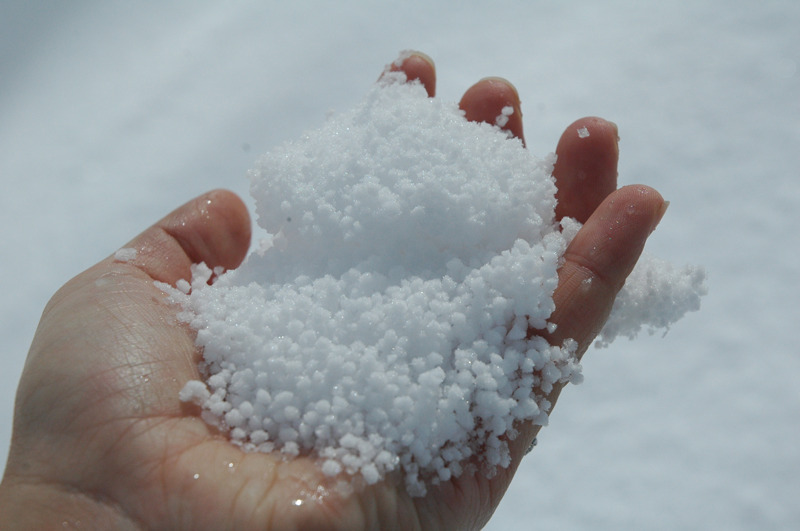 Graupel, snow pellets, is also seen when thundersnow is occurring. I recall a thundersnow event where so much graupel fell that it piled up near gutter downspouts. I had piles of frozen graupel for many weeks that winter. Do you need a forecast for cold or warm season thunderstorms? Let us know, we can help you out.